Forrest Griffin and Stephan Bonnar are going to be inducted into the UFC Hall of Fame this week in Las Vegas at the UFC Fan Expo. 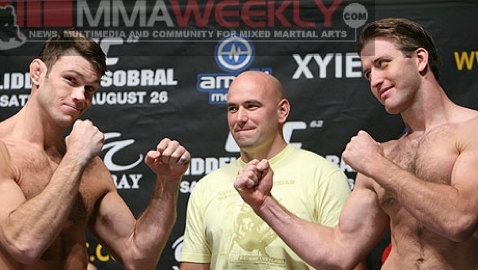 Their fight at the inaugural The Ultimate Fighter Finale was a large part of why they are being inducted. That fight is largely credited with changing the course of UFC history.